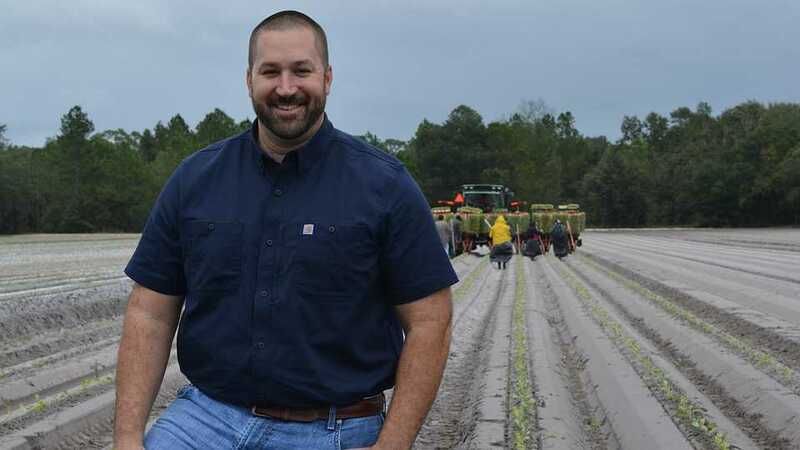 Adam Lytch, Operations Manager for L&M Farms in East Palatka, FL, grew up on a farm and figured a career in agriculture would be in his future. With instant access to information and the ability to share it in the digital age, consumers are exploring more options in fresh fruits and vegetables. For growers, that means a diversity of offerings is becoming even more important these days. L&M Farms in East Palatka, FL, has a long history of growing quality crops. According to Adam Lytch, Operations Manager for the farm, producing a variety of core crops for its customers also is important. Growing up on his family’s cotton and tobacco farm in North Carolina, he knew agriculture would be his career path. Lytch worked in various roles at L&M as part of the company’s training program. The diversity of the farm’s product portfolio is evident in Lytch’s current job description. “I ultimately fell into and in love with the role of working with our Southeast farms and warehouses, and today I oversee our Georgia and Florida farms and warehouses. We currently own and operate six warehouses and farm more than 7,000 acres throughout the two states,” he says. “We grow a variety of southern vegetables including bell peppers, cucumbers, squash, eggplant, chili peppers, broccoli, sweet potatoes, cabbage, greens, watermelons, and new crop potatoes. L&M currently has farms in seven counties in Florida including operations in LaBelle, Palmetto, Branford, and East Palatka,” Lytch says. L&M Farms has responded to the hot demand for organic produce by adding it to its portfolio four years ago. They have 120 acres of organics in the Tri-County Agricultural Area (TCAA) and 60 acres on the Branford farm. L&M is growing broccoli, kale, cabbage, bell peppers, and zucchini squash organically. “One of the biggest reasons we have added organics is to help provide more of a one-stop shop for our customers,” Lytch says. “Nearly all of our customers are buying some organics of core items we grow. So we saw the need to begin producing them to meet that need,” he says. Lytch says growers considering adding organic crops to their farm should work closely with the certifying companies that verify USDA organic guidelines. He says they are very helpful to be sure all farming practices are in compliance before the auditing process begins. “We have certainly learned a lot about organic production in the past couple of years,” he says. “The very first thing we learned is that it is not easy. Growing conventional is challenging enough, but organic cranks the difficulty up a few notches. With this year’s red tide, water quality has been in the spotlight in the media and in the midterm elections. In the TCAA with many of the farms close to the St. Johns River, water quality has been a top priority for years. Lytch says L&M Farms has taken a proactive approach to the water issue by working with the various water management districts in the areas of the state where they farm. Lytch says the tile system has reduced water usage by 50%. By taking seepage furrows out of fields, the farm benefits by being able to use all of the land. L&M has converted about one-third of its owned acreage to irri-drain. Matt Palmer, with Florida-based Soil & Water Agricultural Technologies, installed the irri-drain tile on the farm. He says beyond water savings, the system allows growers to reduce their fertilizer inputs. While the system has irrigation and fertilizer-reduction benefits, Lytch says the system’s ability to move water off fields after rain events is equally important. According to Palmer, the tile can remove 10 to 14 inches of water off a field in a 24-hour period. In the TCAA, growers can obtain cost-share funds of up to 75% for materials with a cap of $250,000. There are cost-share opportunities in other water management districts as well. L&M Farms has placed a priority on marketing its brands and reaching out to consumers in recent years. “We know that it is more important than ever to interact with the consumers buying our products either via retail or food service and by engaging them with social media, through our website, through the press, at point of sale, or however else we may reach them,” Lytch says. Lytch applies L&M’s corporate engagement philosophy on a personal level. 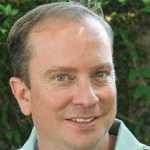 He is currently serving on the board of FFVA and on the grower-shipper board of United Fresh. L&M was founded in 1964 by Joe McGee in Raleigh, NC. McGee founded L&M Farms in 1983 in East Palatka, FL to formalize a relationship between himself and Larry Corn, who is Farm Manager at the East Palatka operation to this day. Larry and his son, Brett, farm for L&M on some of the same ground cleared by Larry’s father Charlie Corn in the early 1950s.